Longs Peak is one of the most popular peaks in this area. 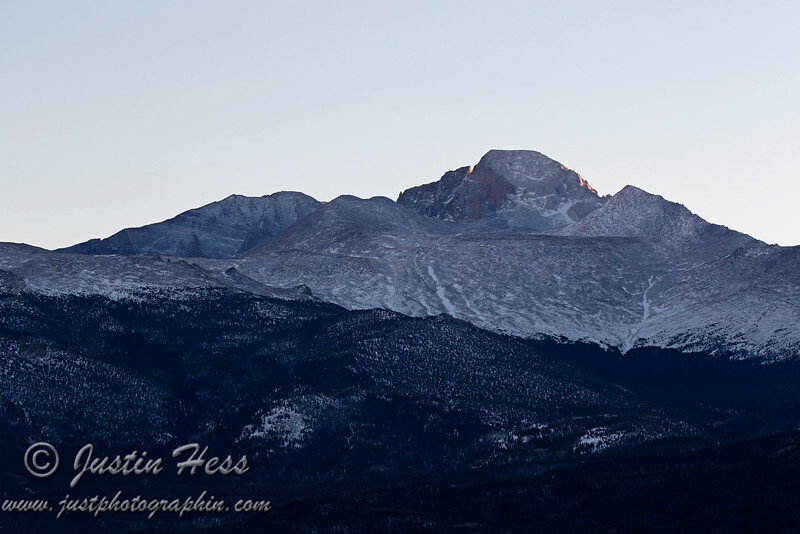 Meeker and Longs Peak catching the last rays of the sun. 1-16-2013.